Mother’s Day is about a month away so we’ve been busy starting to come up with some fun Mother’s Day Cards and Crafts. 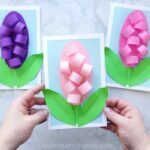 We already made some adorable Flower Cards out of cupcake liners and we thought of another fun card that will Shower Your Mother with Love! 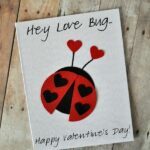 Just like our first card, this one is super simple for kids to make. 1. 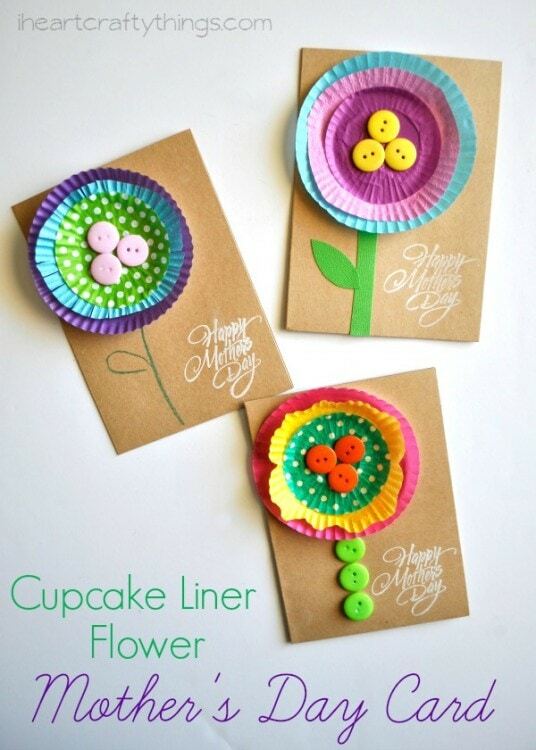 Start by cutting your cupcake liner in half. Glue it onto the front of your folded card. 2. 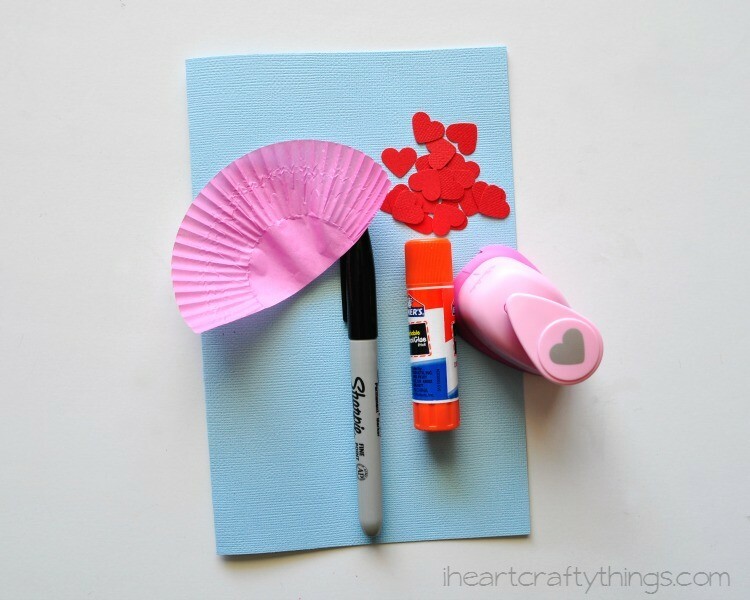 Use your black marker to draw an umbrella handle below your cupcake liner. 3. 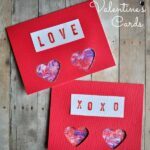 Use your small heart punch to cut out several hearts out of your red cardstock paper. 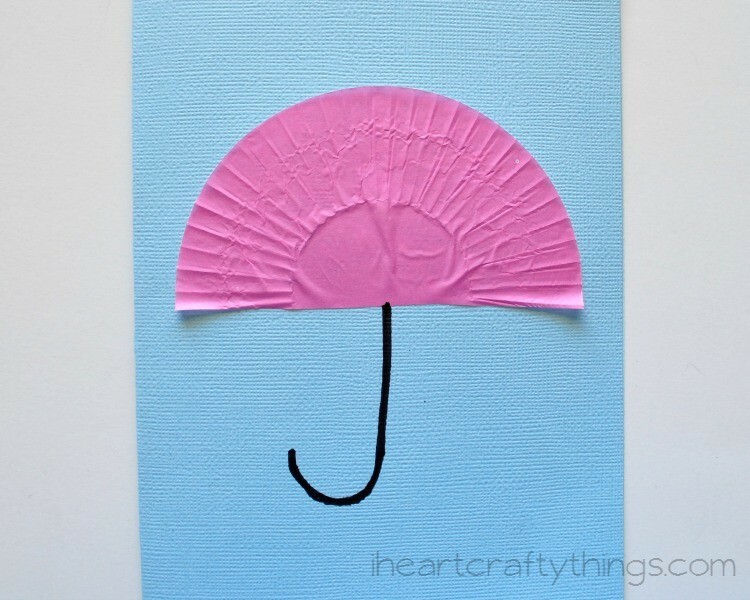 Glue them at the top your umbrella and some coming down the sides. 4. 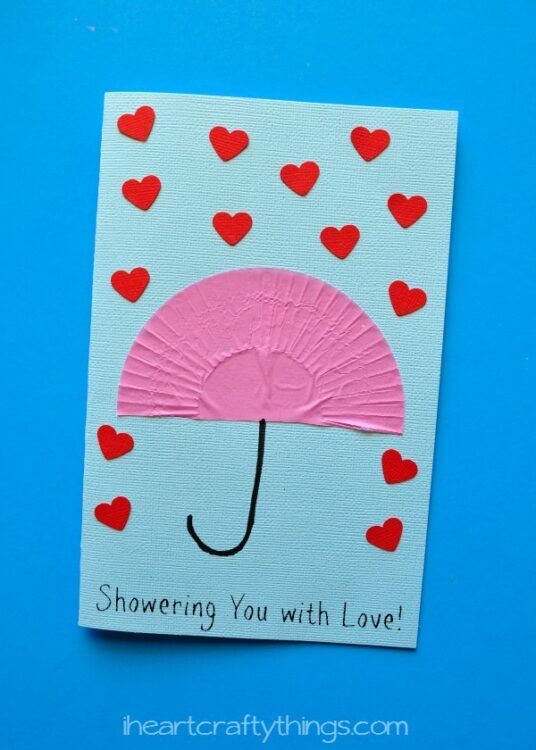 Finish your card by writing “Showering You with Love” on the bottom and write a personalized Mother’s Day message inside.